Mr. Libbey, east coast millionaire and philanthropist, is credited with transforming the typical western town of Nordhoff into the civilized, elegant village of Ojai in 1917. Born in Chelsea, Massachusetts in 1854, Mr. Libbey became a partner with his father in the glass business in Toledo, Ohio. By 1883, he was the sole proprietor of The Libbey Glass Company. Since he loved beautiful things and possessed the wealth and power to obtain them, he founded the Toledo Museum of Art in 1901 and was President for many years. In 1907, Mr. Libbey’s friend, Mr. Harry T. Sinclair, invited Mr. and Mrs. Libbey to winter in Nordhoff at the beautiful Foothills Hotel, which was only open during the winter months. While Mr. Libbey fell in love with the beauty of the Ojai Valley, he was not pleased with the “ramshackle” town where the stores had false fronts and metal awnings, and the sidewalks were slatted boards. With his combination of money and imagination, Mr. Libbey created what we now enjoy about downtown Ojai. In 1916 he began to acquire land. 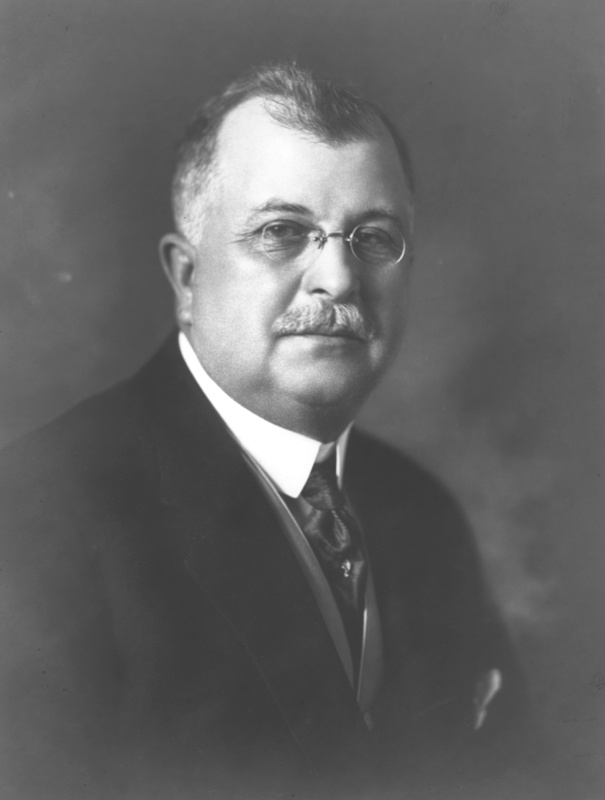 He held progressive conferences with Nordhoff “movers and shakers” including Sherman Thacher, Walter Bristol, John J. Burke and Harry Sinclair. Together, they hired San Diego architects Richard Requa and Frank Mead for suggestions to make Nordhoff a distinctive cohesive and beautiful town. He began with the building of a Spanish arcade that would cover the false fronts on the stores. In front of the Blumberg’s old hotel, a wisteria covered pergola was built and the centerpiece was to be a beautiful tower for the post office. Mr. Libbey developed several hundred acres into the Arbolada for home sites for those wanting to come to the valley and build a house. He donated part of his land for the development of the Ojai Valley School. After a fire that destroyed the Catholic Church, Mr. Libbey helped with the reconstruction of the church with the help of architects Requa and Mead. He developed the Ojai Valley Inn and Country Club with the help of architect Wallace Neff. The golf course would become one of the most outstanding in America. 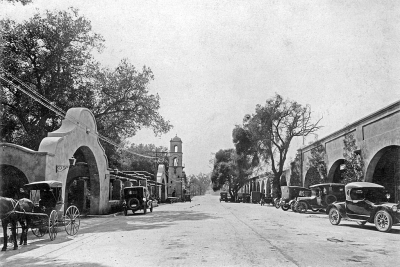 The El Roblar Hotel was another important element of Mr. Libbey’s plan for the Ojai Valley. Even after the death of Mr. Edward Drummond Libbey in 1925, his estate donated the land for a new library in Ojai and contributed $10,000 towards the construction of the building, designed by Carleton Winslow. For another great and extremely interesting article about Mr. Libbey, get your hands on a copy of the “Ojai Valley Visitor’s Guide” which was distributed to subsciber’s with the Friday, Dec. 28, 2012 edition of the “Ojai Valley News”. Of course, this article (Benefactor — Ojai built on beer bottles and pickle jars; Page 47) was authored by David Mason too.